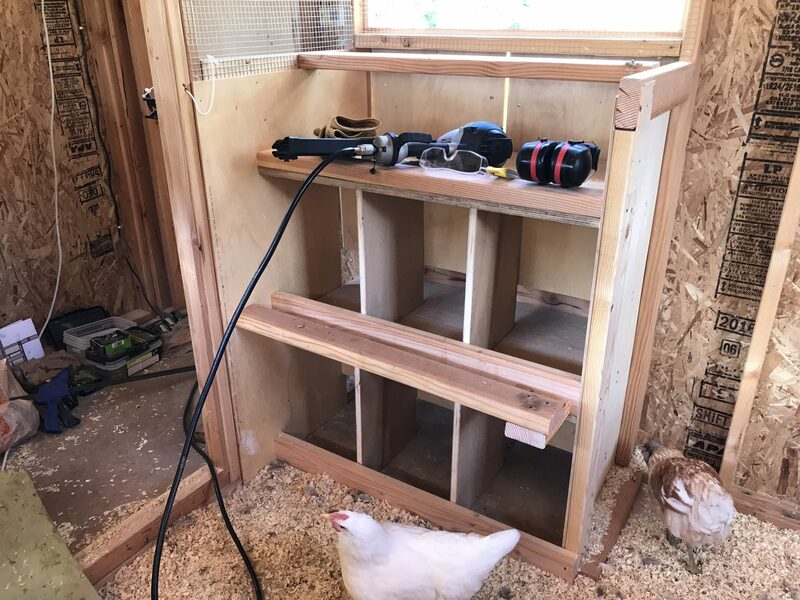 One of the last steps on building the new chicken coop is making the nesting boxes. 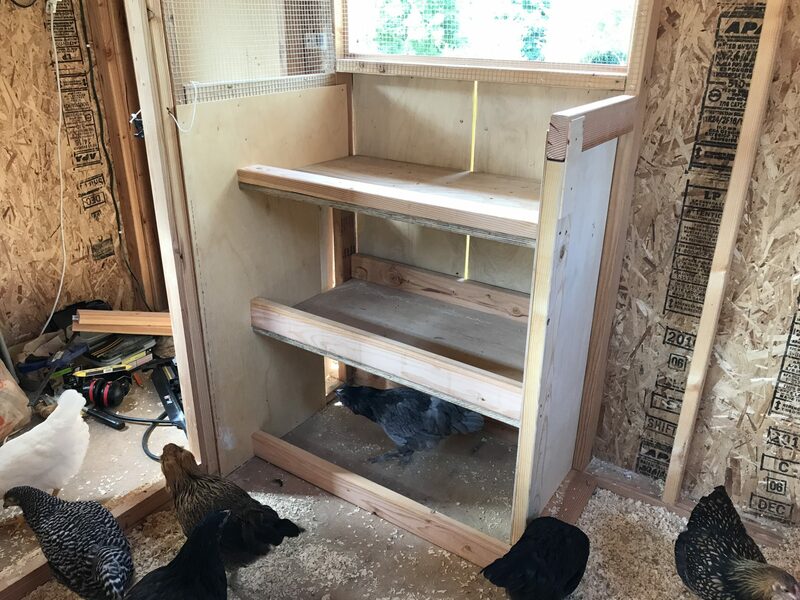 Rather than just buying plastic boxes like in the old coop, I wanted to make custom roll-out boxes, where the eggs roll down a gentle slope to a collection area after being laid. 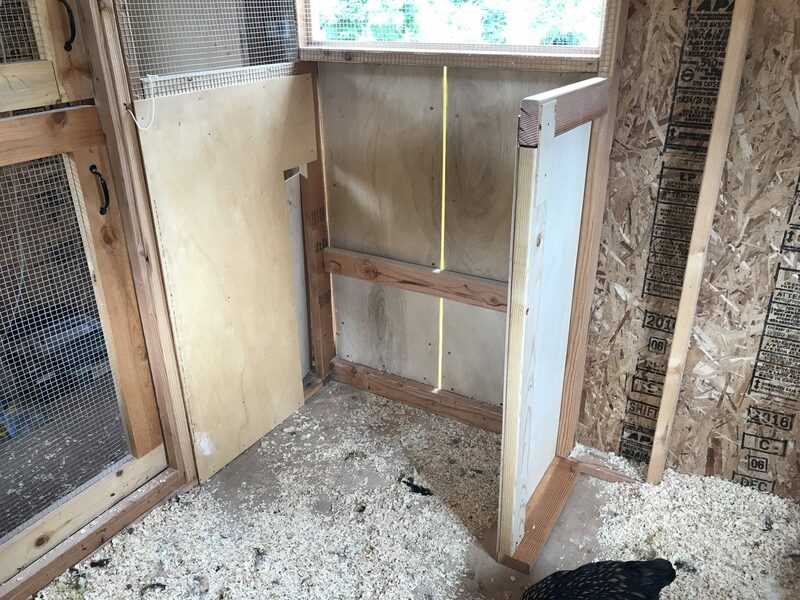 This will not only make gathering the eggs easier, it’ll also keep them cleaner, and reduce the risk of breakages (or chickens eating the eggs, which can happen if they get a taste for them). 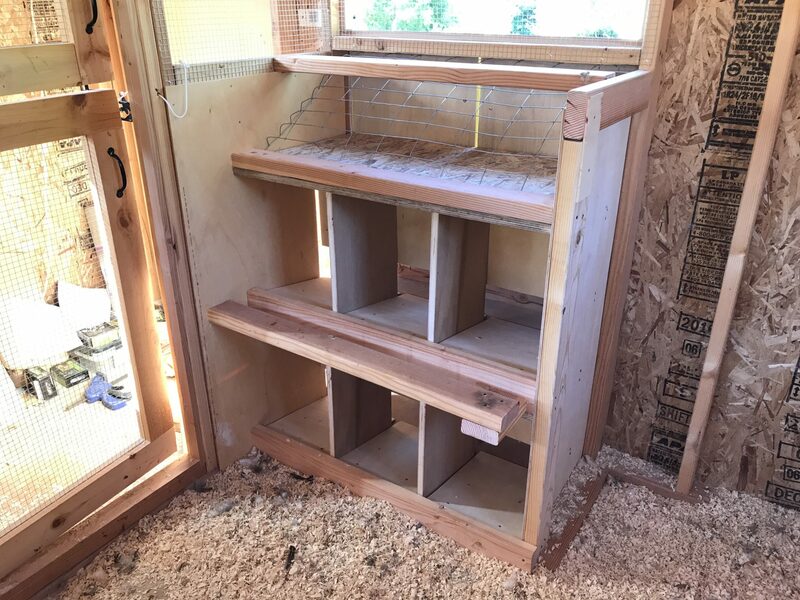 When I built the coop, I allowed for this with double doors below the front window, but I didn’t bother to build the nesting boxes before the chicks moved in, since they wouldn’t be laying for a few months. 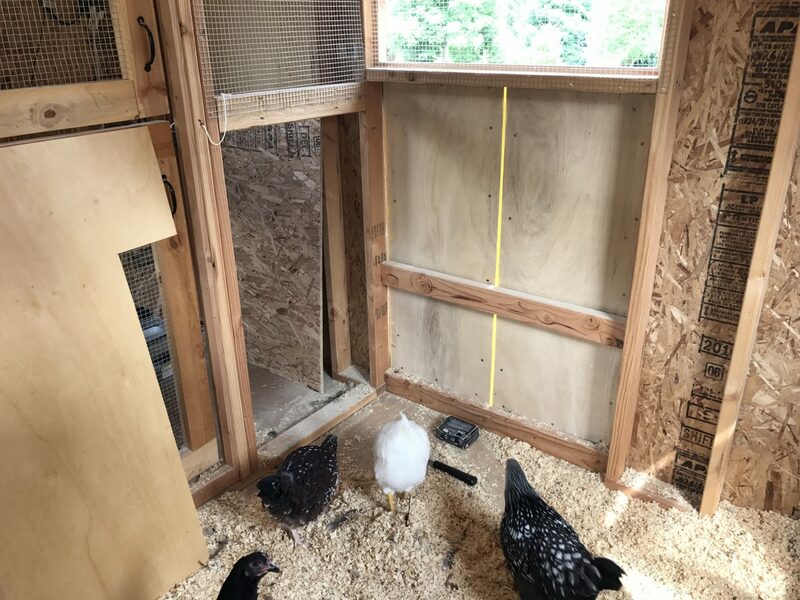 But they’re not too far away from being old enough now — their first eggs will likely arrive sometime over the next few weeks. 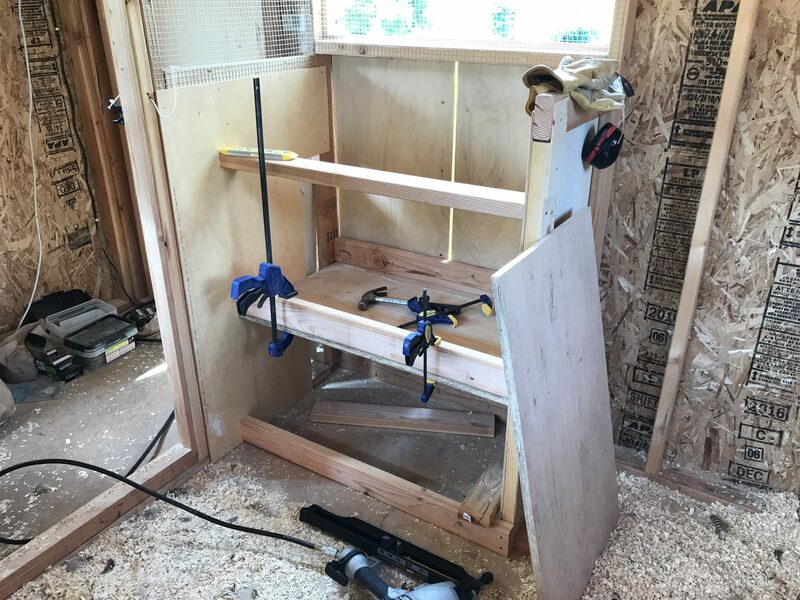 So it’s time to make the boxes. 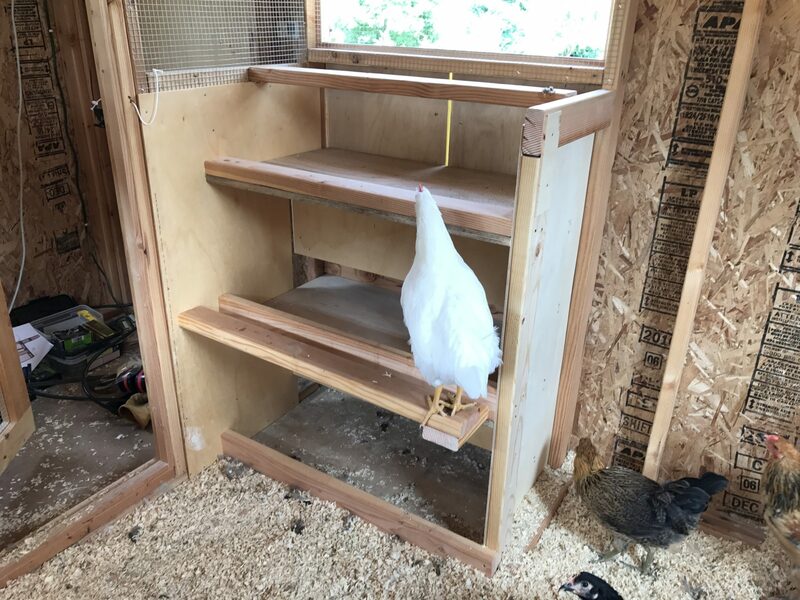 This concludes the construction of the nesting boxes, though they will have some finishing touches — nesting pads, liners, padding, and perhaps even curtains. 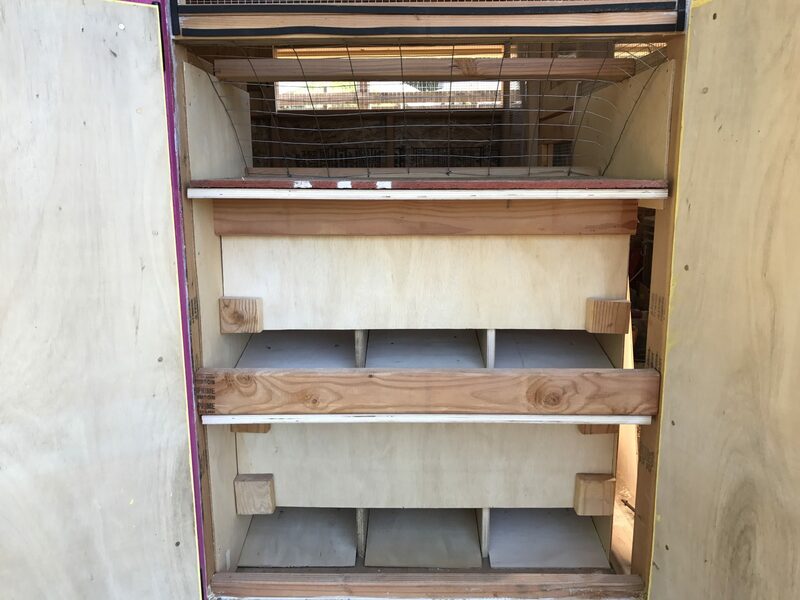 Stay tuned for further adventures!